Size 38 x 42 inches. 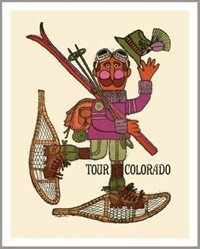 This jumbo sized vintage ski poster is a stunning rendition of European winter joy. 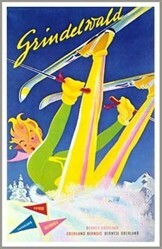 Sestriere is an alpine village in Italy and claimed to be one of the world’s pioneering ski areas. 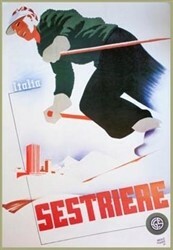 Sestrière was built by the Fiat car company in 1934. Quality reproduction. 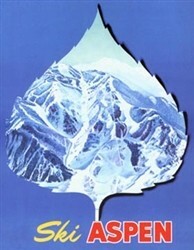 Size 38 x 42 inches.